Are You Sick And Tired Of Fibromyalgia Pain? Want Less Pain And More Energy? We Can Help! 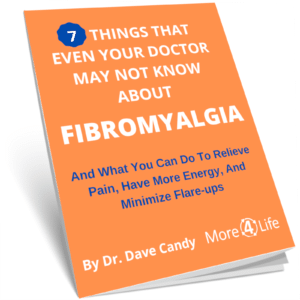 This FREE guide shows you how you can take control of fibromyalgia to reduce pain, decrease medication use, improve your energy level, and get back to doing the activities you enjoy! Is fibromyalgia getting you so frustrated that you think you are destined to a life of pain, fatigue, and medication use? In the next few minutes you’re going to discover how busy adults with fibromyalgia can win back their health, vitality, and quality of life! to help you take control of your fibromyaliga symptoms and get back to the happy, fulfilling life you deserve. You'll receive valuable information that shows you how to naturally control your fibromyalgia pain and fatigue while decreasing your reliance on medication. I work with busy adults just like you nearly every day to help them find relief from fibromyalgia and other types of chronic pain. 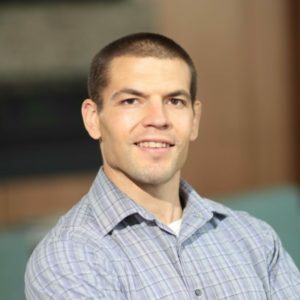 What I can tell you is that pain medications, magnetic bracelets copper sleeves, dietary supplements, and other quick-fix gimmicks may provide temporary relief, but on their own, they are not likely to provide a long-term solution. Why? Because they only treat the symptoms of your pain without addressing the root causes! I know so many people who have just accepted that fibromyalgia is now a normal part of their lives. This does NOT have to be you! The FREE e-book will explain why you should have hope that you can live happy, fulfilling life without being plagued by fibromyalgia. Inside you’ll find information about fibromyalgia, some simple tips you can start using today to ease your pain, and long-term strategies to help maintain you newfound pain relief, energy, and quality of life. Your pain seems to come and go without an identifiable cause. If fibromyalgia is keeping you from enjoying life to its fullest, then you need to take a few minutes to read this e-book. This e-book is NOT for you if you're content to live with taking pain and sleep medication, don't care about fixing the MAIN problem, or you don’t mind continuing to live with your fibromyalgia symptoms. What would your life look like in a few months if you had drastically less pain and fatigue and could manage your symptoms without medication? There’s no catch…I’m doing this because I believe your healthcare decisions are important and having the right information will empower you to make the best choice about the next steps in your journey to a happier, healthier life free from fibromyalgia! All you have to do is enter your information and I’ll send it to you immediately. Are you ready to gain control over fibromyalgia? Are your fibromyalgia symptoms more URGENT?